Enjoying yourself in a cool atmosphere of Ba Be lake and beautiful nature of Bac Kan is one of solutions to escape from busy urban areas. 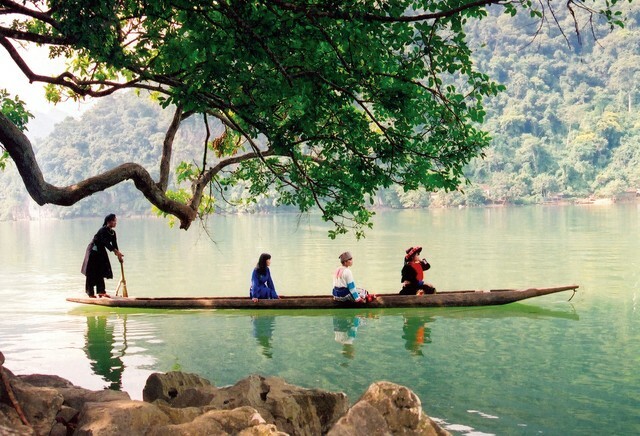 Vietnam-online suggests a handbook for a perfect trip in Bac Kan, Vietnam. When feeling too tired, schedule yourself a trip to strange lands and live in traditional stilt houses. Seating on a wooden sampan on a quiet lake or listening legendary stories of love are extremely interesting experience. 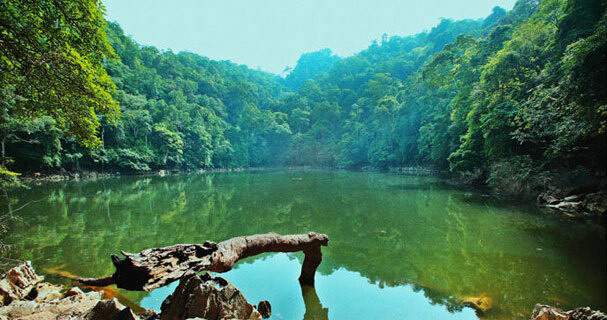 Only 250 km from Hanoi, you are able to get Bac Kan. You can go at any time of year. During August and September, you will enjoy the cool atmosphere and light sunshine. Ba Be lake where you may forget daily worries. How To Get Bac Kan, Vietnam? There are two ways to travel Bac Kan from Hanoi. You can hire motorbike or car in three day itinerary. Moreover, you can go by bus at My Dinh station. From Ra market in Bac Kan, you can take a motor taxi to get Ba Be. Discovering stunning mountainous roads: right near riverside, you will see a map of Bac Kan tourism. From here, you are able to uncover any road. Valleys: on your way, you will see rice fields in valleys, houses covered with dodder, herds of coat, etc. Ba Be lake: should start a trip in early morning, you will take the whole beautiful sight here with crystal water and early dew. When seating on a wooden sampan to visit Ba Be lake, you will be surprised of romantic and tranquil landscape here where visitors are able to forget all daily worries. Pac Ngoi village: as a small village of 40 stilt houses of Tay ethnic people in mountainous area. These traditional stilt houses are located in mountain sides and near Ba Be lake which makes surroundings more poetic and lively. Na Khoang Waterfall: you will be excited of seeing white and yellow butterflies. This big waterfall is situated right under foothill of Deo Gio, with stone steps after stone steps that create an interesting sight for those who want to relax. Hua Ma cave: about 6km from Ba Be lake, Hua Ma is also known as Hanging Cave. The temperature inside the cave is always lower than outside. In Bac Kan, the locals offer homestays service at the price of VND 100,000- 250,000/room. Sour bamboo shoot with chili is a specialty here. You will have a chance to enjoy a kind of bamboo shoot grown in forest and then soaked with vinegar, pepper, and garlic. Rice in bamboo tube: should- taste dish in Bac Kan that is served with sesame salt. 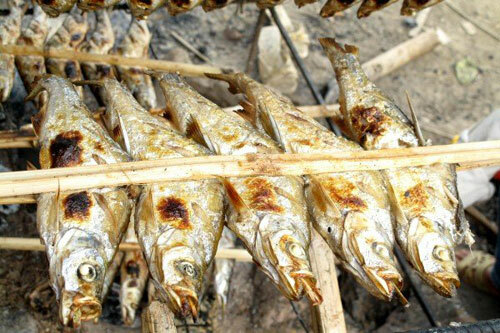 Enjoy seafood that is caught from Ba Be lake such as: grilled fish, steamed shrimp, etc.